A brief guide to using the APA Citation Style, with links to further resources. 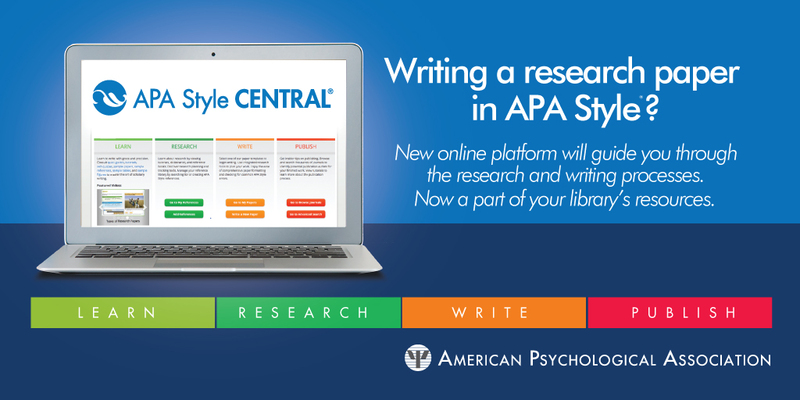 Try APA Style Central for all your APA Style needs. 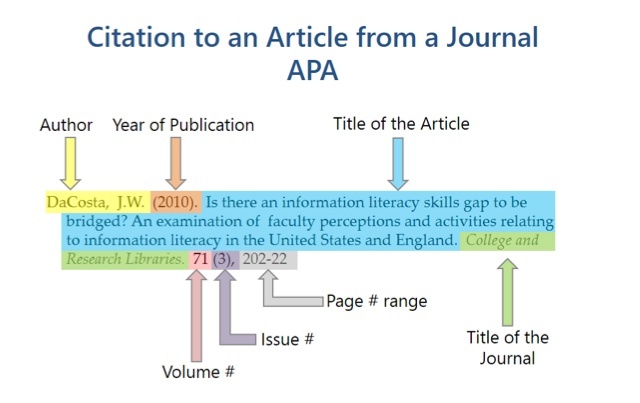 "From the people who wrote the book"
Understanding the fundamentals of APA citations, APA citation examples of source types, tips and examples for citing online sources, and creating parenthetical in-text citations. One of the best citation guides on the Internet, the OWL at Purdue also covers title page and paper formatting, and many other writing skills. The APA Style Blog answers many questions about both basic and unusual citation and formatting issues. Check out the 'Best of' category for particularly useful posts. Practice creating citations with this game from the University of Washington. Includes videos on creating citations. If you are new to APA Style, take some time and explore this guide. You will find a lot of useful information. However, if you need information fast, try these commonly used quick links. The American Psychological Association has been producing style rules for publication since 1929. Over the past sixty years the rules have changed to incorporate new standards and practices. This guide is based on the Publishing Manual of the American Psychological Assiociation, now in it's sixth edition. Page numbers and quotations found throughout this guide refer to this publication. Only the most frequently used examples are included here. For a more comprehensive discussion of APA style, please refer to the Publishing Manual of the American Psychological Assiociation, found at the Research & Information Desk in Buley Library. Help with citing and creating reference lists is also available at the Campus Writing Center. For those of you familiar with the 5th edition of the Publishing Manual of the American Psychological Assiociation, there are a some major changes in the new edition. Digital object identifiers (DOIs) are now required on all resource for which they have been assigned. When citing a work by multiple authors, include up to eight names. For more than seven authors, list the first six, add three elipses (...), and list the last author. The well-known city rule has been eliminated. All publication locations must now include city and state or city and country (if outside of the United States). For example: New York, NY: McGraw-Hill. American Psychological Association. (2010). 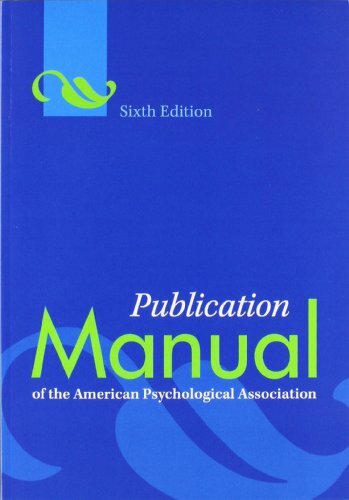 Publishing Manual of the American Psychological Association. Washington, DC: American Psychological Association. New to this edition of APA is the inclusion of digital object identifers. Watch this video to find out more about them. Note: As of March 2017, APA has changed its recommended DOI format from doi:... to https://doi.org/.... Both forms are acceptable, but the https form is preferred. The https: URL can be a live URL or not by author preference.